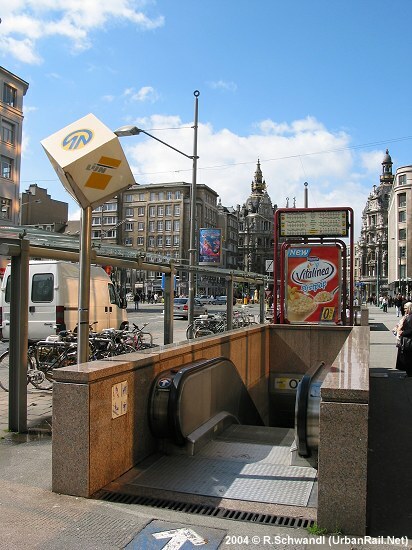 Antwerpen (Antwerp/Anvers) has some 520,000 inhabitants in the city proper, with some 800,000 people living in the metropolitan area. 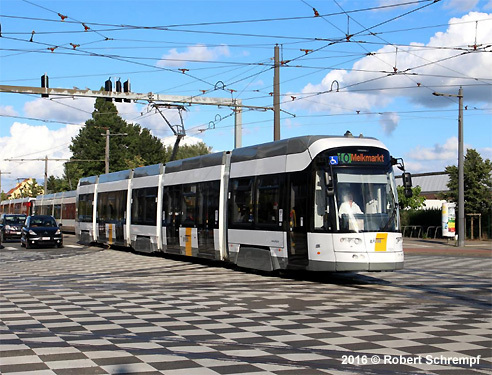 It is located by the river Schelde in the north of Belgium, in the region of Flanders, the Dutch speaking part of the country. 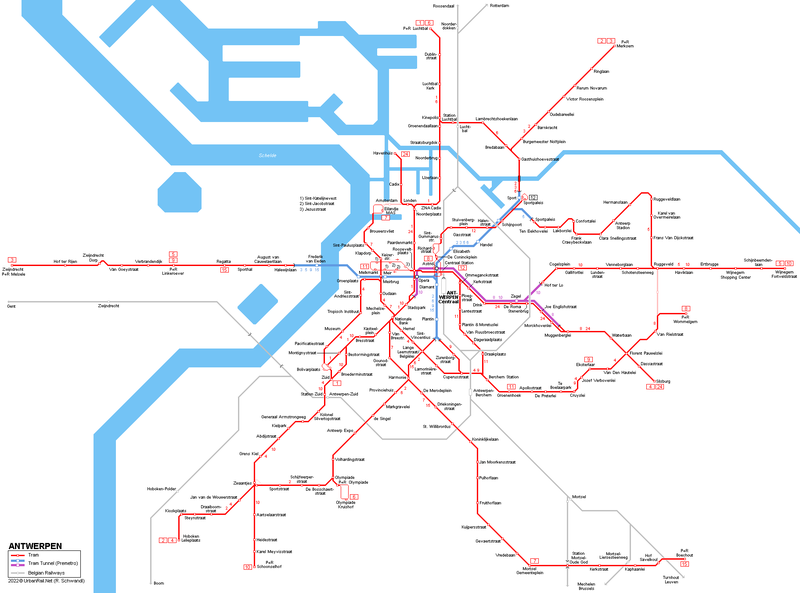 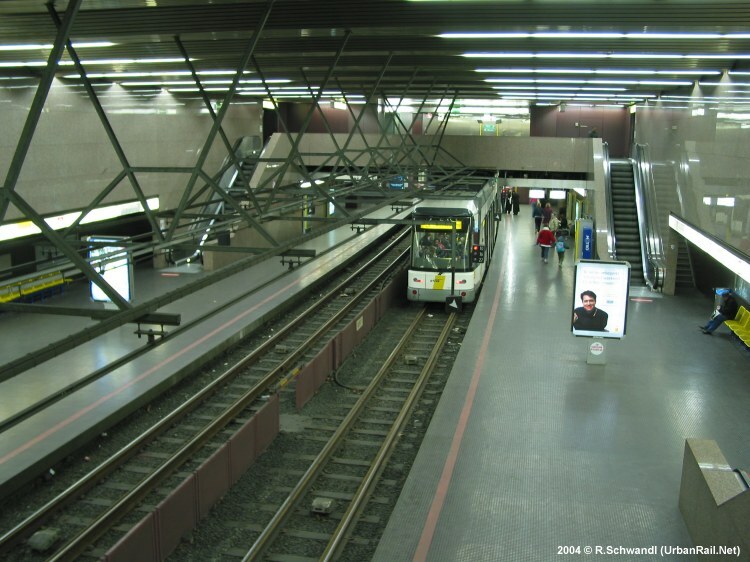 Antwerpen's urban rail network is a typical premetro network, i.e. 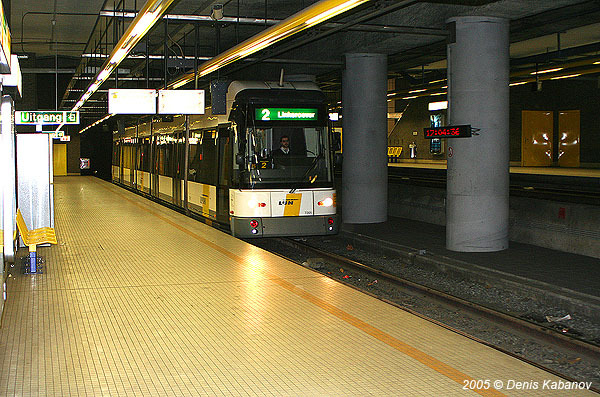 trams use underground sections in the city centre and run partly on separate right-of-way along streets in outer parts. 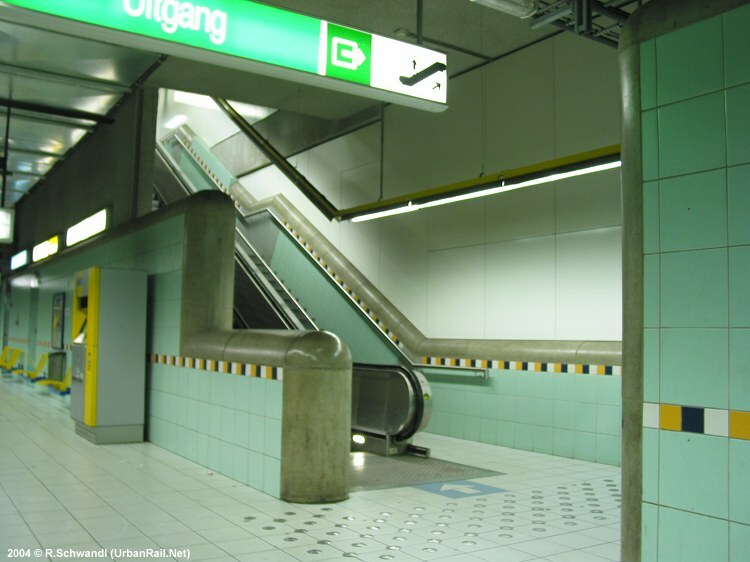 A total of 15 km underground routes with 22 stations was originally planned. 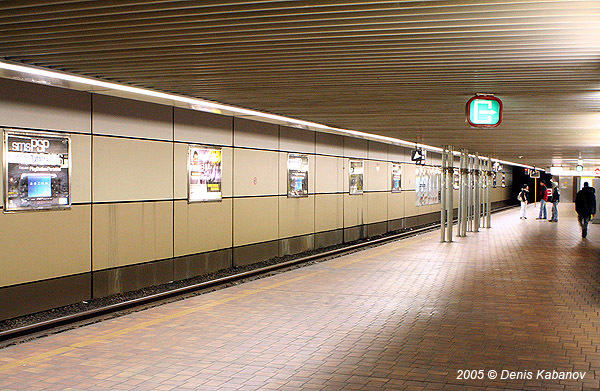 Diamant station lies next to the Central Railway Station and has one platform on top of the other due to lack of space (lower platform 20 m deep). 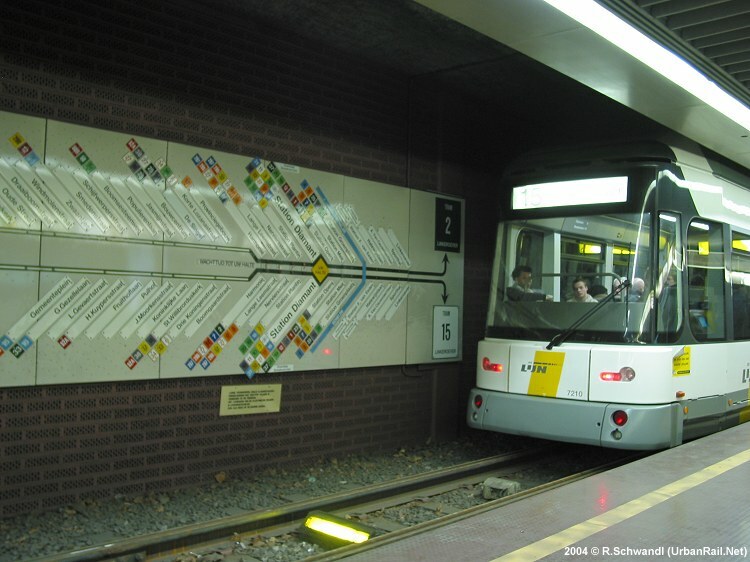 The original tunnel sections are served by tram lines 2, 3, 5 and 15. 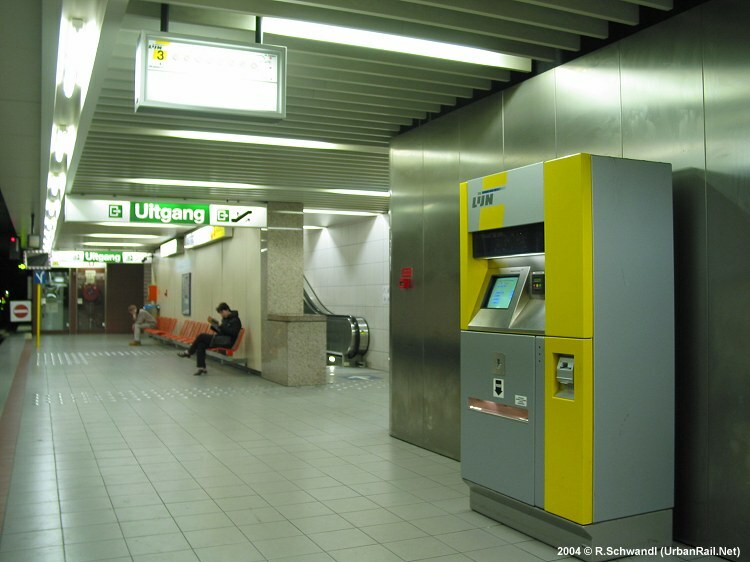 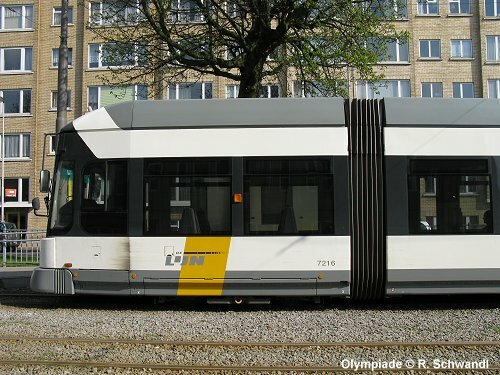 In Oct. 2007 line 6 was added, which uses the third leg of the triangle at Centraal Station between Diamant and Astrid. 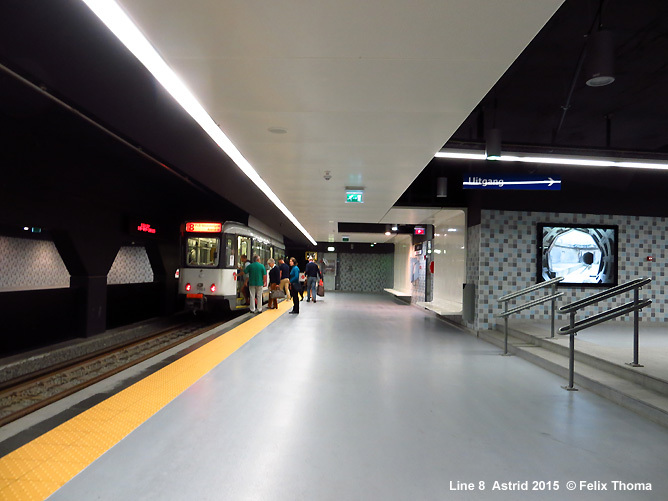 In Sept. 2012, line 9 was introduced, which uses the previously unused southern ramp south of Plantin station. 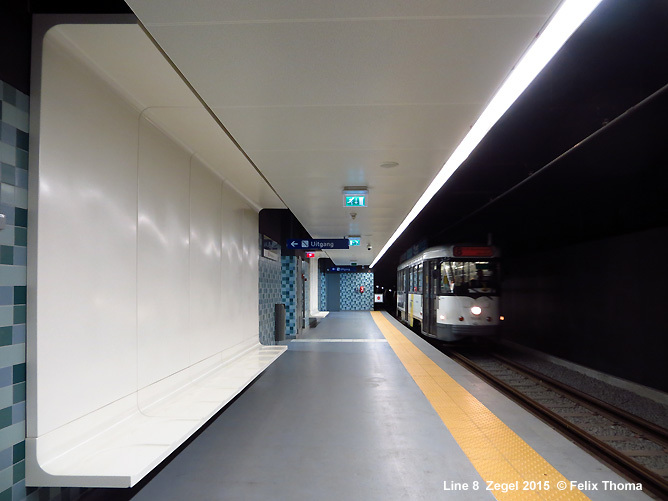 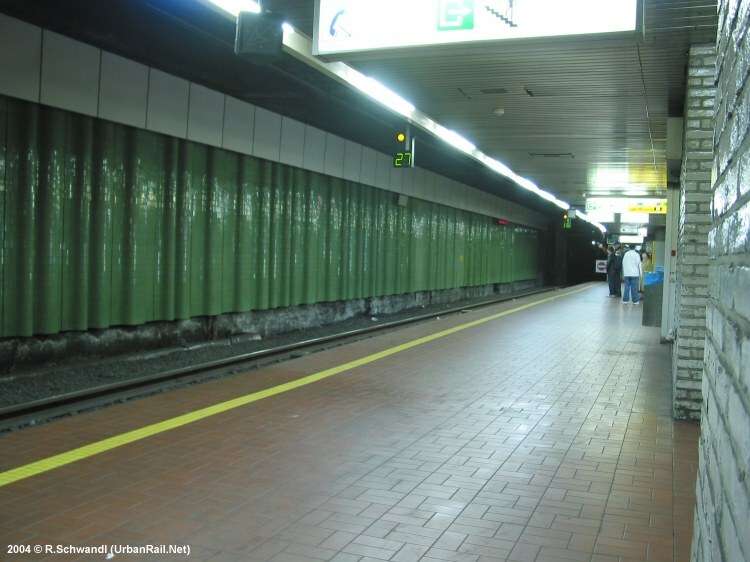 In April 2015, line 8 started to operate through the long-unused tunnel running east from Astrid, but serving only one underground station at Zegel. 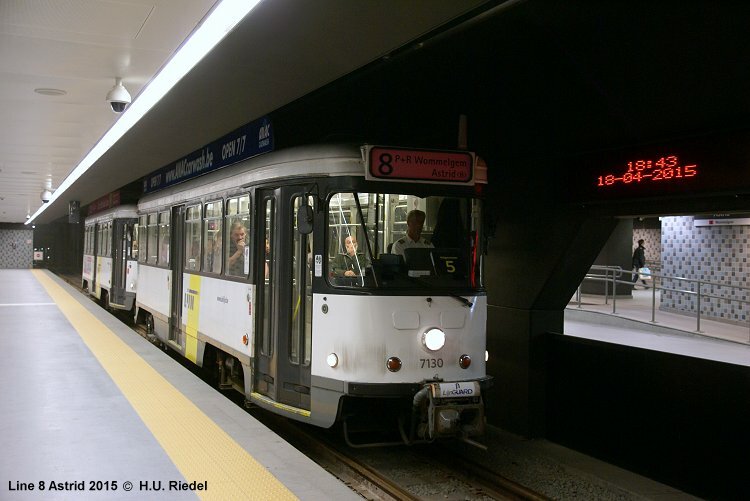 In June 2017, this tunnel was also linked to the surface via a southern ramp on Frankrijklei (near Stadspark), when line 10 was rerouted underground too. 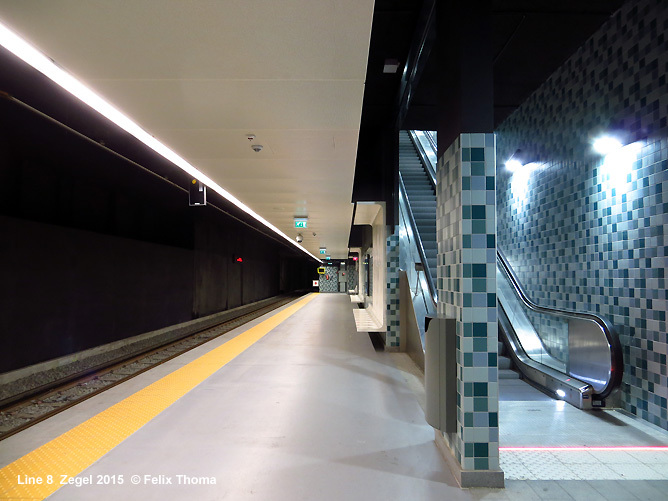 As of 2017, total length of the underground sections in service is approx. 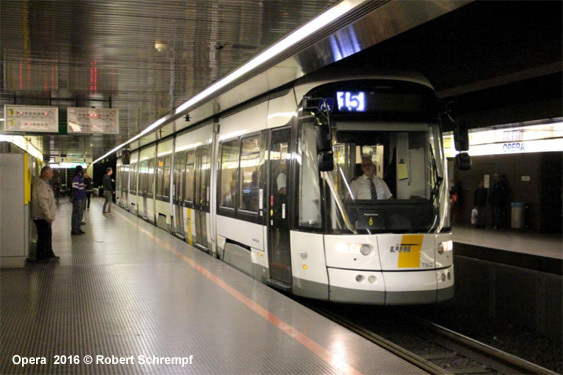 11 km with 12 underground stations; station platforms are 95 m long. 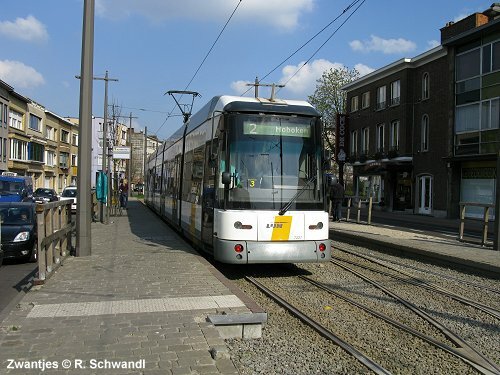 The tram network is operated by De Lijn. 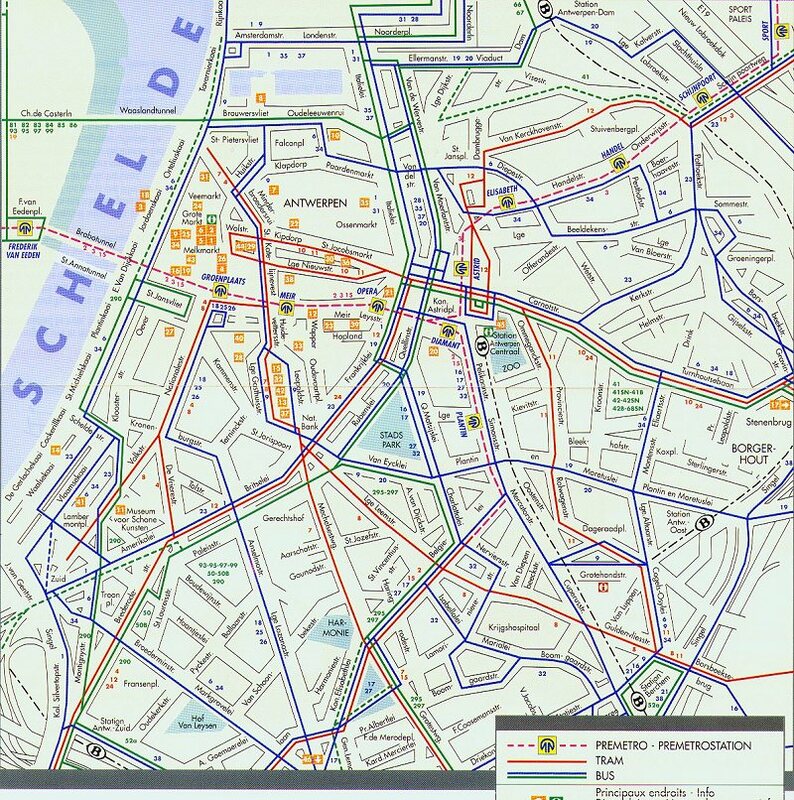 A second route was planned to run from the south-west to Opera and Astrid, then east. 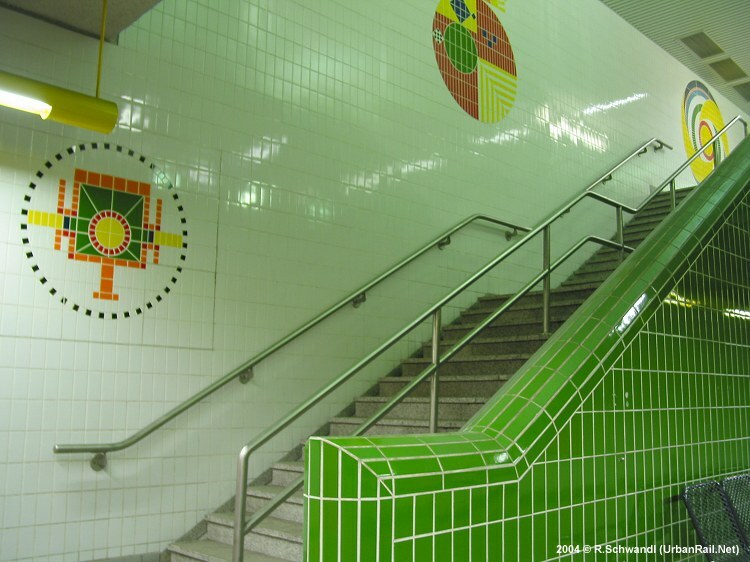 Construction of the eastern part started in 1977 (3.8 km), the north-eastern branch (2.1 km) was also built, but both sections were stopped in the 1980's due to financial problems. 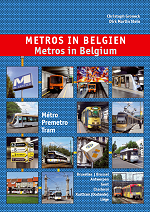 In 2004, the so-called Pegasus plan included the construction of several tram lines to the suburbs and adjacent towns. 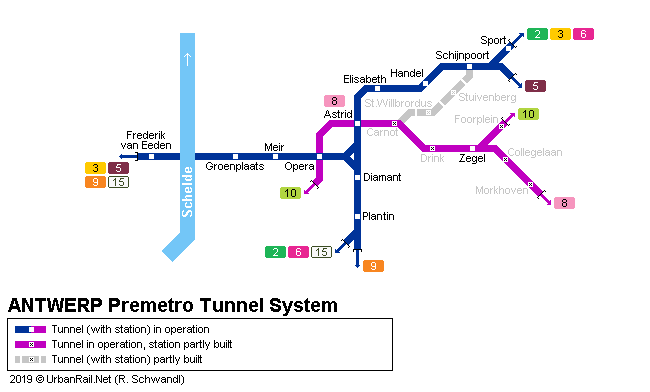 For this project at least one of the already built tunnels was to be used (with stops only at Opera, Astrid, Drink and Morkhoven). 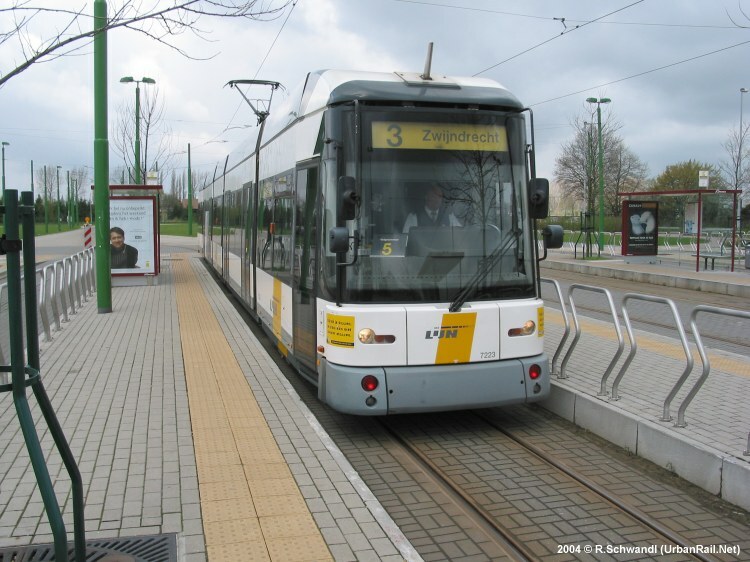 In 2013, the plan was to launch a shuttle service between Astrid and P&R Ruggeveldlaan (Wommelgem), via a new surface extension, with only one intermediate underground stop at Zegel. 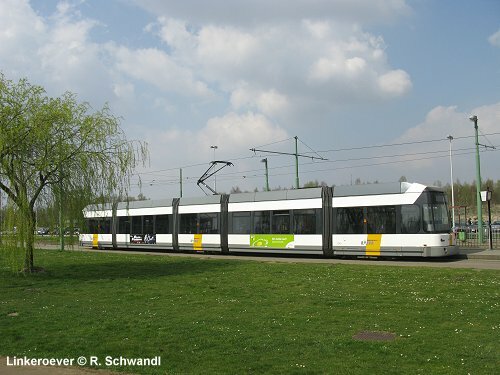 This service opened as Line 8 on 18 April 2015. 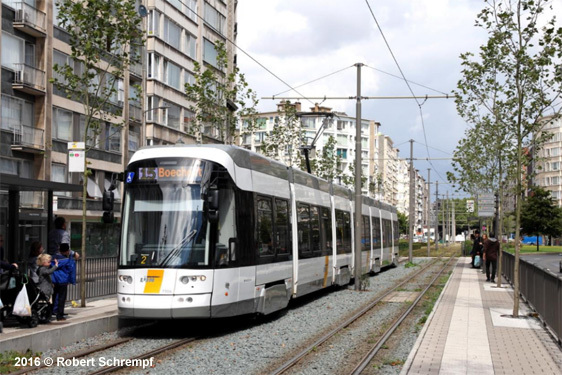 Since 3 June 2017, trams have continued beyond Astrid and surfaced via a new ramp on Frankrijklei, although Opera station will only be brought into service in 2018. 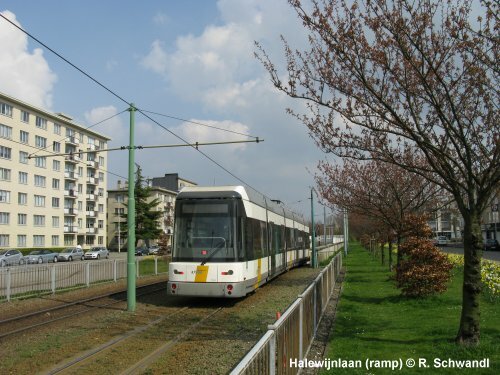 On 16 Sept 2017, Line 10 finally got its own ramp near tram stop Hof ter Lo.